Introducing the JHM B8 2.0T 3" Cat Pipe!!! Following the success of our performance exhaust components for the B7-A4 2.0T, we are proud to release our Cat Pipe for the B8 A4-A5 with the 2.0T motor. 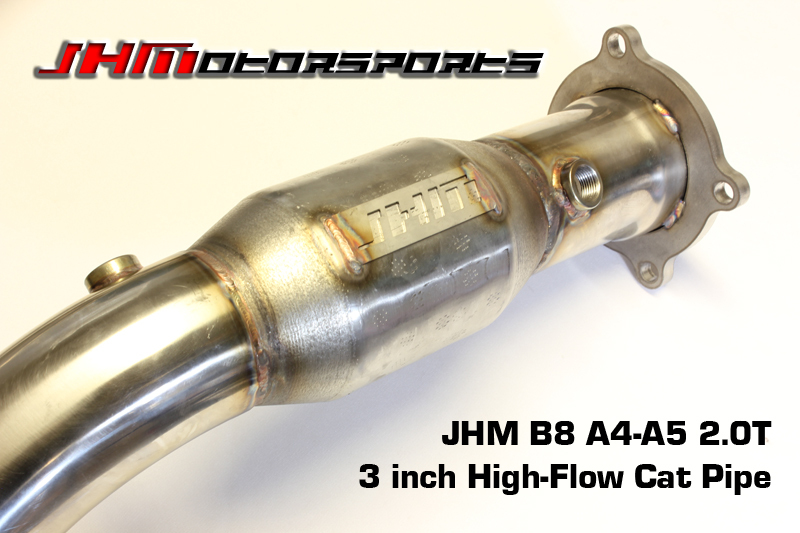 If you are looking to get the most performance out of your stock turbo B8 A4 or A5 2.0T while still running a catalyst, this is the cat pipe that you need! 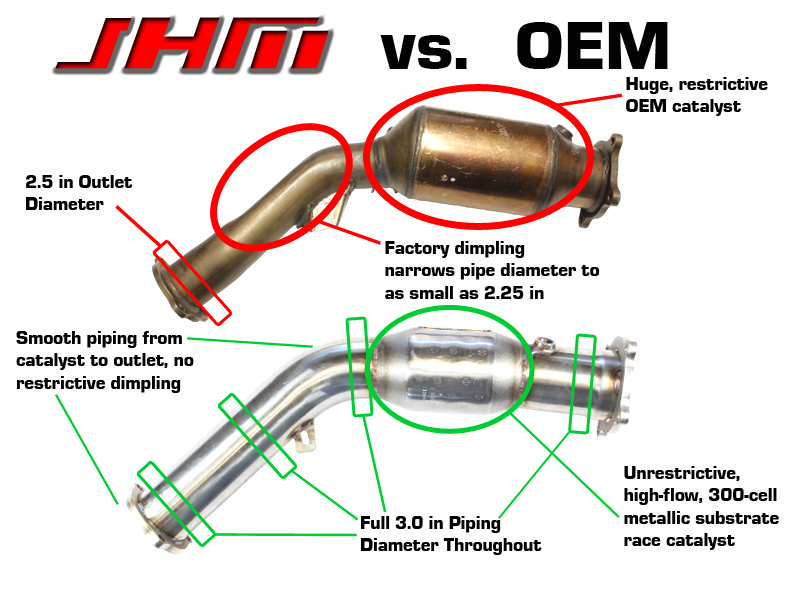 WHY REPLACE YOUR OEM CAT PIPE? 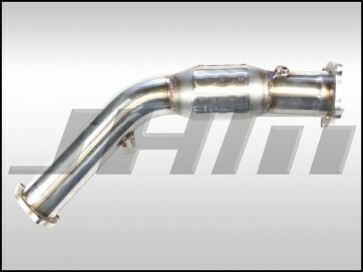 While the OEM cat-pipe on the B8 A4-A5 2.0T is larger than previous generation OEM Audi cat-pipes, it is still a major restriction in the exhaust system. The first restriction in the OEM cat-pipe is the huge catalyst sitting right behind the turbo. The second major restriction is the diameter of the pipe. After the inlet at the turbo, the largest the pipe ever gets is 2.5 inches at the outlet at the end of the pipe. In many spots, the OEM cat-pipe is as small as 2.25 inches or smaller. Additionally, the OEM pipe has severe bends and dimpling in it for clearancing that are disruptive to the smooth flow of exhaust gases out of the motor.